Dr. Alison Sigal has always been a woman that “leads from the heart” and that comes across in both her personal and professional life. It is this care and devotion that has fuelled her passion for caring for children and persons with special needs. Her journey to founding Little Bird has been memorable, sprinkled with anatomy and physiology, research, teaching, varsity athletics, volunteerism, and a desire to constantly learn, evolve and provide the highest standard of health care. Each experience has shaped Dr. Sigal and her overall vision for Little Bird. In 2006, Dr. Sigal realized her career calling while studying Kinesiology at McMaster University. During this time, she conducted a unique research study and became aware of the lack of access to oral health care issues that faced persons with special needs, and the impact this was having on their lives. Desiring to be able to provide this needed care, Dr. Sigal went on to graduate from the University of Toronto, Faculty of Dentistry in both its Doctor of Dental Surgery (DDS) Program, and its post-graduate Masters of Science Specialty Program in Pediatric Dentistry (MSc-Ped Dent). 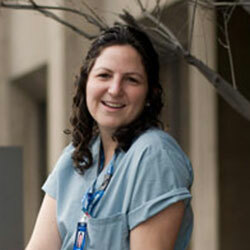 In between degrees, she completed a hospital-based residency at Mount Sinai Hospital (Toronto). Dr. Sigal excelled in her MSc Pediatric program, winning the Dr. Titley Award for Top Canadian Pediatric Dental Specialty Resident. 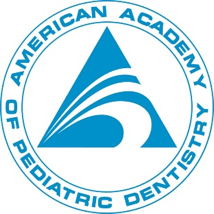 And was further recognized across North America, having been awarded as one of two Residents of the Year from the American Academy of Pediatric Dentistry; being the first Canadian to receive this honour. Envisioning universal access to oral health care. 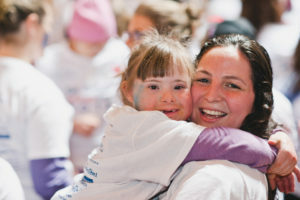 In 2008, Dr. Sigal founded a Federal Non-Profit Organization called Oral Health, Total Health (OHTH; www.ohth.ca), dedicated to advocating, educating, and improving access to oral health care for persons with special needs. 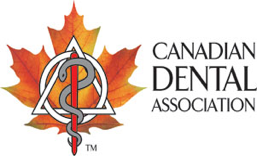 Leading chapters across Canada at all English-speaking faculties of dentistry and public dental hygiene colleges, the awareness today, is greater than ever before. Yet still there remains a lack of community access, which inspired Dr. Sigal to create Little Bird, a community clinic that would pioneer and provide this much-needed compassionate care, as well as be utilized for research, training, and education. Click HERE to learn about Little Bird’s Center for Persons with Special Needs. Bright Eyes, Big Hearts – Moose Factory, Ontario. 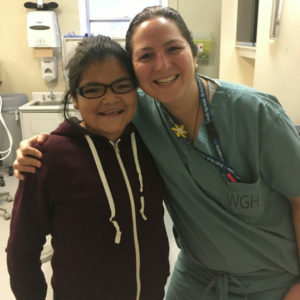 Throughout her residencies, and years following – Dr. Sigal became part of the Weeneebayko General Hospital team, traveling to Moose Factory on a monthly basis and providing pediatric dental care for all of the Northern communities. The community, people, and traditions hold a special place in Dr. Sigal’s heart. 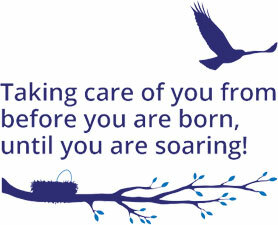 Many aspects of the practice, including the bird soaring in the LB logo, were inspired by memories from MF. She plans to continue to provide care in Moose Factory for many years ahead. Learning and Global Collaboration – Pediatric, Airway Focused Health Care. Dr. Sigal’s background as a Kinesiologist, and love for anatomy and physiology has been at the forefront of her most recent journey. She has dedicated herself to intensive research, studies, learning, and collaboration with global leaders in pediatric, airway focused health care. Receiving additional training in orofacial myofunctional therapy (OMT), frenum assessment/care, buteyko breathing, and various integrative systems, Dr. Sigal has developed a comprehensive assessment and approach to optimize the growth, development and function of all children from birth onwards. Click HERE to learn more. Outside of the practice, Dr. Sigal loves spending time with her husband Brian and daughter Everest, family and friends. 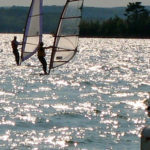 She lives an active lifestyle including her love of windsurfing and all outdoor winter sports. She comes from a family of foodies, enjoys gardening with Brian at their home in Milton, and cooking while listening to Motown and Rock N’ Roll classics. Dr. Alison Sigal is licensed by the Royal College of Dental Surgeons of Ontario. Dr. Michael Sigal “The Big Bird” is a certified Pediatric Dentist whose career for the past 35 years has been dedicated to the education and advancement of dental care for children and for persons with special needs of all ages. Dr. Michael Sigal’s formal education included a Doctor of Dental Surgery Degree (DDS) in 1979, a residency in Hospital Dentistry in 1980 at Mt. Sinai Hospital in Toronto, a Diploma in Pedodontics (Pediatric Dentistry) in 1982, and a Master’s of Science Degree in Cell Biology in 1984, from the Faculty of Dentistry, University of Toronto. 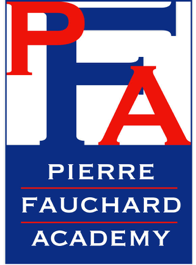 Immediately upon completion of his formal education in 1984 he joined the full-time academic staff in Pediatric Dentistry at the University of Toronto as an Assistant Professor and has been a Full-Professor with tenure since 1998. For 23 years, from 1993 to 2016, he was Head of the Discipline of Pediatric Dentistry and Director of the Specialty/Graduate Program in Pediatric Dentistry. He is a Professor Emeritus in Pediatric Dentistry at the University of Toronto and a Fellow in the Royal College of Dentists of Canada. During his academic career, he played an active role in the training and education of over half the pediatric dental specialists in Canada and the advancement of dental care for children. Since 1982 Dr. Michael Sigal was on staff at Mount Sinai Hospital (Toronto) in the Department of Dentistry where he held the position of Director of the Division of Dentistry for Persons with Disabilities until his retirement from the Hospital in 2017. He also held the position of Chief of Dentistry from 2001 to 2015 during which time he was also the Director of the Hospital Dental Residency Program. He was instrumental in developing the Sinai Dental Program for Persons with Special Needs into the largest such comprehensive program in Canada that included the provision of needed dental care to a largely underserviced population in an educational setting. 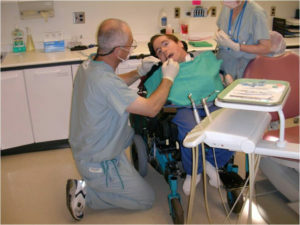 During that time, all undergraduate dental students (over 4,000), over 200 Sinai Hospital Dental Residents, and over 70 Pediatric Dental Specialty Students received training in dental care for persons with disabilities under this program whose intent was to foster an increase in community access to dental care for persons with disabilities. He was also Chief of Dentistry at the Queen Elizabeth Hospital (now Toronto Rehabilitation Institute) from 1988-1994 and from 2005-07 where he developed another service / teaching dental program for persons with disabilities in a chronic care/rehabilitative setting. Throughout his career Dr. Michael Sigal has been an advocate for the advancement of dental care for children, and for persons with special needs of all ages and has sat on numerous committees and advisory boards with government agencies and professional organizations at the local, provincial, national and international level. 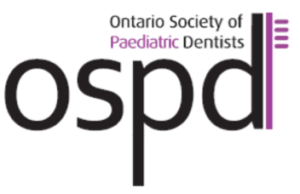 He was the President of the Ontario Society of Pediatric Dentists from 1997-1999, and the President of the American Academy of Dentistry for Persons with Disabilities from 1999-2000. He has authored and/or co-authored over 50 publications, and has given over 70 presentations on children’s dentistry and dental care for persons with special needs. Dr. Michael Sigal is now excited to join his daughter Dr. Alison Sigal at Little Bird to develop the next generation of pediatric dental practice whose two primary foci are: To maximize each child’s growth potential by ensuring optimized airway development from birth to adulthood; and to provide oral health care to persons with special needs in a community based setting designed with their unique needs in mind. 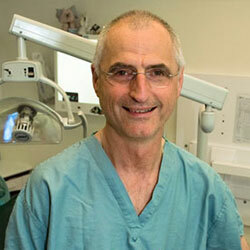 Dr. Michael Sigal is licensed by the Royal College of Dental Surgeons of Ontario (RCDSO) and is a member of the Ontario Society of Pediatric Dentists, Canadian and American Academies of Pediatric Dentistry, Special Care in Dentistry Association, Ontario Dental Association, Canadian Dental Association, and the Royal College of Dentists of Canada.